Father’s Day arrives June 18, and there is still plenty of time to find just the right watch for dad’s wrist. If you’re still not sure which timekeeper would look best on the male parent in your life, below is our second post with a few suggestions. And of course, we’ve considered options with a variety of budgets in mind. Time to go shopping. This is the latest camouflage design from Bell & Ross. The watch’s military hue starts with a two-layer dial covered with a patchwork of matte grey and then adds a 42mm square matte black ceramic case and black fabric or black rubber strap. Inside is a Sellita-based automatic movement. The watch is highly legible both day and night thanks to the photo luminescent coating on its hands, indices and numerals. Price: $3,800. 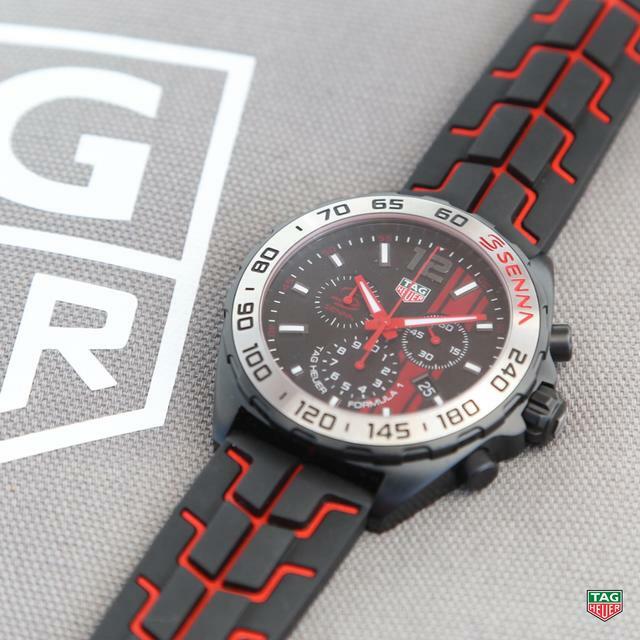 To commemorate the 30th anniversary of Ayrton Senna’s first Monaco Grand Prix victory, TAG Heuer has launched two 43mm limited edition quartz Formula 1 watches, both with a red lacquer S, the Senna symbol, on the dial and the racing bezel. Both black PVD-cased watches feature red accents on the hands and the steel bracelet. The Formula 1 Chronograph is $1,650 and the Formula 1 (with time and a date) is priced at $1,450. 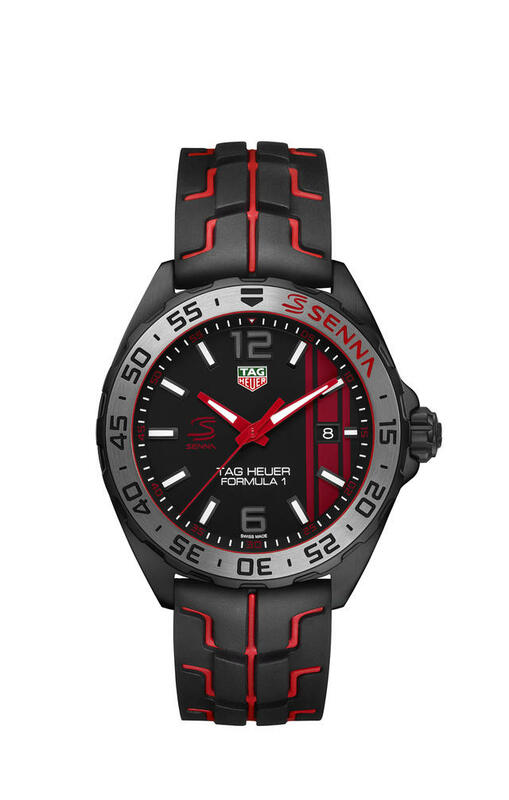 TAG Heuer is also releasing an automatic commemorative model, the TAG Heuer Carrera Heuer01 Senna Edition, (not pictured here) priced at $6,200. Industrial designer Giuliano Mazzuoli mixes colorful powders and composite materials for the bright special coatings on these four new 45mm watches, all new to the firm’s Carrara collection. 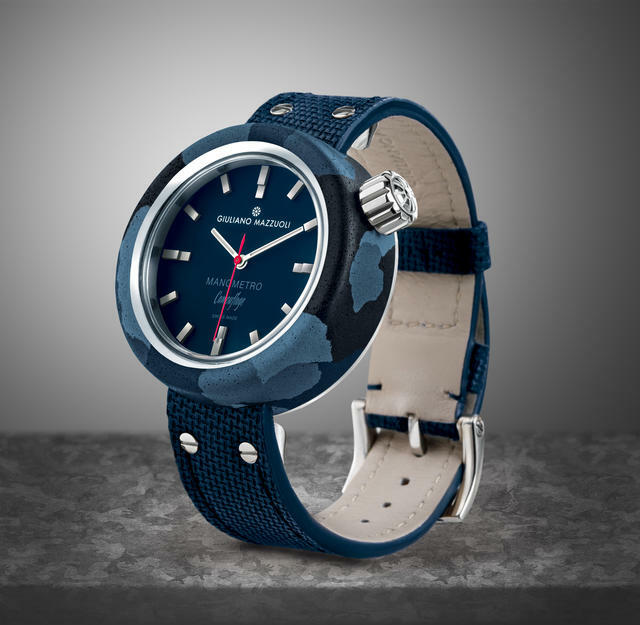 Four different color dials are paired for camouflage effects in matte colors with raised three-dimensional cuboid minute indexes. 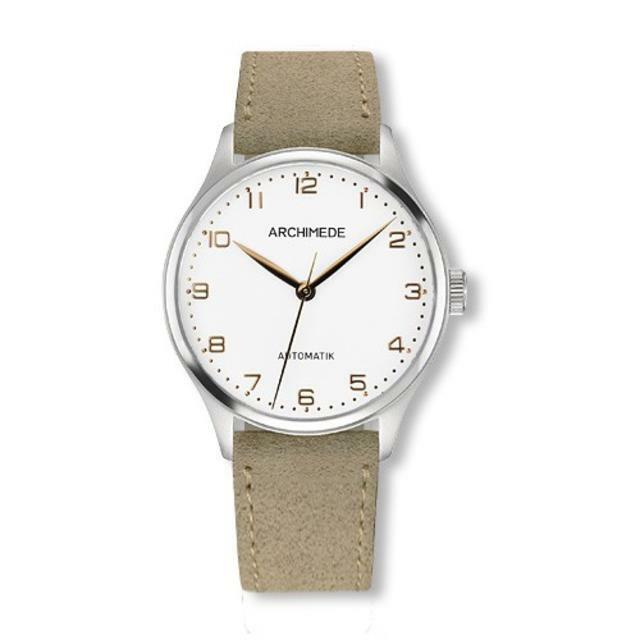 The calfskin leather strap is stamped with a canvas effect. Inside is an ETA automatic movement. Price: $3,900. Earthy and ergonomic, this latest example from the Swiss-based Dietrich offers an unusual 48mm by 46mm case with a customized contoured crystal to create a watch and a collection that looks like no other. 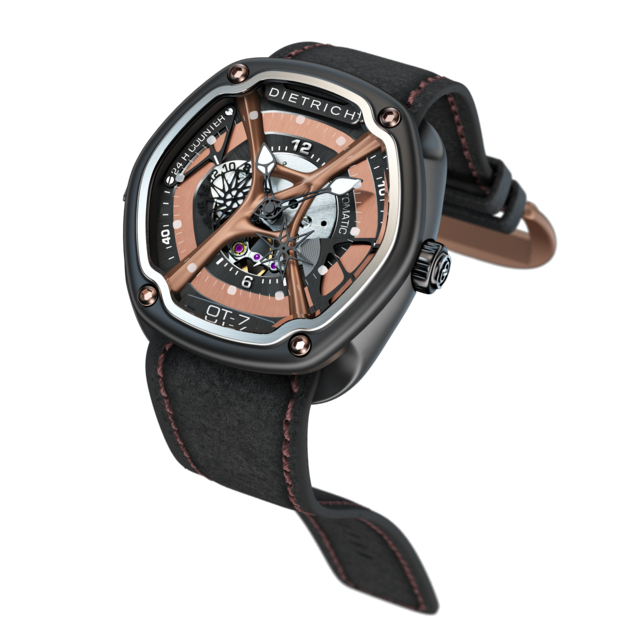 A steel case coated with gunmetal grey PVD complements copper-toned hex screws, a four-layer black-and-copper-colored dial and white indexes printed on the underside of the crystal. Inside is a modified automatic Miyota 82-S-7 with open view on the escapement dial side. Price: $1,400. A member of the Pforzheim, Germany-based Ickler group of nicely priced timepieces that all boast particularly solid steel cases, Archimede offers this dressy 36mm model with a silver or black dial and gold-plated applied numerals and hands. The Ickler-made steel case is also available in a two-tone version or in all antique-gold PVD plated model. Inside is a decorated Citizen automatic movement with Archimede engraved on rotor. Price: 554 euros, or about $625.